Indian Dance at Americana Community Center, in conjunction with Louisville’s Crane house. On July 31, 2012, I came home from work to face an ugly surprise. Our home on Ashland had been burglarized! The doors were locked, but they gained access by prying out the wooden trim around one of the glass panes on our back door. Once they removed the trim, the glass just popped right out & they were able to reach in & let themselves in. (They even took the trim & glass pane with them!) I understand that they caught these particular thieves because they were using the same “m.o.” on many houses in the neighborhood. Unfortunately, they must not be the only ones because our next door neighbor got hit this same way in February 2014. It’s easy access with little noise. If you have one of these old wooden doors on your home, please take the time to ensure it’s in good shape and not easy to break into. We replaced ours with a steel door & also changed the front door as well. (Did I forget to mention we have a 65 lb. dog in the yard that they slipped past, too?) We thought we were good…but the thieves were better! Please be observant of anyone around your neighbor’s home that does not belong there. I have offended many a stranger by inquiring as to their need to snoop around my neighbors’ homes, but I also stopped a break-in in progress a few years ago by asking questions. Quite stupid I’m told later, but nonetheless, I foiled that robbery because I saw someone who didn’t belong and I didn’t hesitate to ask why they were there. If we speak up & pay attention to our surroundings, we will be a better neighborhood than Beechmont already is! 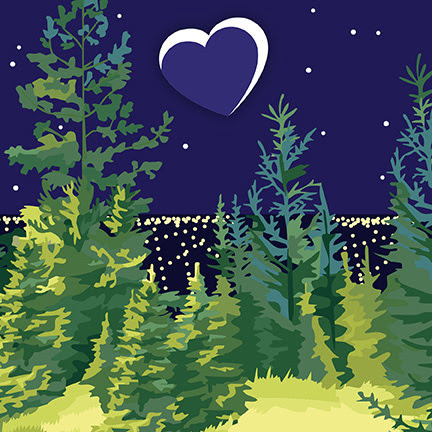 Romantic Valentine evenings await on February 14 and 15 at Jefferson Memorial Forest. For only $30, couples will be treated to a romantic candle-lit hike that ends with a view of Louisville’s lights from the scenic Manor House, where couples will enjoy hot beverages, rich desserts, and the cozy warmth of a hearth. Event is $30 per child for the session. Details: This event is for adults 50 & over. Free! The Louisville Miniature Club will display dollhouses and other miniature worlds during February. Stop by the Visitors’ Center during regular operating hours to marvel at the intricacy and skill evident in these charming miniature scenes.No fee, donations accepted. Get your Family Outside X-ploring a different Metro Park each season. Throughout the year, a Naturalist will guide your family on an exploration in forests, fields, lakes and ponds, and along the Ohio River. Hike, search for tracks, build forts, catch pond critters, get muddy, play in leaves, and take a break from technology. This is a great opportunity to experience nature with your children. Bring water bottles and a snack, and dress for the weather. We will be outside the whole time. Warning: You will get dirt on your shirt! Meet at the Horine Environmental Education Center. Join Marcellus Love at Shelby Park Community Center for an exciting professional Hip Hop/Dance workshop. YOUTH (6-17). FREE. For more information: Contact Jordan Walker at 502/574-1780. Details: This event is for adults 50 & over. Thursday, February 27 -Special Preview 5:00-7:30 for members only. 12,000+ used, antiquarian, and new books in all categories all neatly sorted, ie history, biography, mysteries, reference, travel, gardening, cook books, childrens, science fiction, Kentucky, and much, much more! Prices begin at $1 for paperbacks and $2 for most hardcover books, with a selection of illustrated books, rare books, and sets, priced individually. All books are in good condition. Because of the volume, books will continually put out during the sale. Individuals or households with income of less than $51,000 can have their taxes prepared FREE. Do It Yourself Preservation is designed for people who live or work in an older building and would like to do some maintenance work themselves, but just don’t know where to start. It’s okay if you don’t know anything about tools, terms, or how things work, that is what this workshop is for! Along the way we will discuss simple things like screws, nails, basic power tools, and many more. We will discuss as many of the following topics as possible! Led by architect Gary Kleier, with 35 years of experience, and specialties in historic renovation, restoration and applying green concepts in historic structures, Kleier is sure to help those dealing with rehabilitation issues in a historic home who are interested in achieving environmentally friendly results in the most cost efficient manner.